Opera 12.10 RC4Tired of 12.10 already? Deleting private data - delete persistent storage will reset Noads Advanced extension,clear all settings,including user customized rules and subscription list. Turns out check "delete plug-in data" causes the same problem too,and it not only affects Noads Advanced also on other extensions like Adblock and No Google Search Redirect and Persistent Text and WOT...in short every extension I installed have the same problem. We have stopped releasing MSI packages, please use the regular Opera autoupdate package. chooseopera.com pointed me to http://www.opera.com/download/ and there I clicked the left button, "Download Opera 12.10 for Windows". Came to a page that served me the file Opera_Mobile_9.5_Beta_2.sis lol. I'm pretty sure that didn't work as intended. Thank you, you finally forced not to use Opera in the corporate environment. Lack of support for ntlm, discontinue msi = killing opera in a corporate environment. Hi IE. "This release is a recommended security update." You're a troll but I'll drop a few facts for the interested readers. The first Opera was released in 1995. Opera had gestures, an adblocker and a mail reader before other browsers even had a concept of extensions. Opera had tabs years before the Mozilla Foundation was even founded. Firefox was the last major browser to move their address bar below the tabs. Opera was the first browser to implement Speed Dial. What is the difference between Opera 12.10 for Mac OS X International (Intel i386 + x86_64) and International (Intel)? error 413, "Your client issued a request that was too large" is the error i sometimes get. Opera 12.10 for Mac OS X International (Intel i386 + x86_64) works in 32 or 64 bits mode depending on your architecture, International (Intel) is running only in 32bits mode. WOW THAT IS NICE. 6th November 2012, the day I dropped Opera for good after over 10 years of usage. Could not import a PKCS#12 in a clean installation. I had to install Opera 11.64 (from FileHippo), import the PKCS#12 and then upgrade to Opera 12.10. I think some people need to understand how all software companies work. Is Opera 12.10 better than Opera 12? Yes, MASSIVELY so... Therefore it's a fine release. Please can you explain, why do you stop building MSI packages? All my organizations (approx. 100 users) uses opera browser and I manage updating software through GPO policy, which work with MSI packages. Maybe it is bad idea? Periodically takes too long to change the page and to load. Wowww!! very nice, thank you!! How about commandline options for installer? epic fail is your comment, see changelog for all the important changes and fixes. A pity the latest changes to gmail are very broken in Opera just before this release. Trying to compose an e-mail, copy and paste etc is almost impossible. Done, added a comment to the latest blog. Many pages of regression reported on rc builds, and you release it as final build? Gmail doesn't loads and you consider it a minor bug? Just the webmail more used on the web. Your client issued a request that was too large. That’s all we know. If disabling won't help - seems I have to uninstall Opera. First since 9.x. Image zooming on images smaller than screen resolution possible but improper. Regression from Opera 12.02. Reported in 12.10 RC3 comments. Must say, that represents the quality of releases Opera is heading towards. hi there again... still can't type "ş" to anywhere. - can't delete persistent storage in Preferences -> Storage -> Advanced -> Delete. Only Clear all works which is certainly something you don't want, because it reset all extensions. Both Ubuntu 64. Both are clear regressions from earlier version of Opera. After installation, I noticed that Opera Unite reappeared in the left panel, in between Widgets and Notes. It appeared not as an icon, but as plain text. And in the bottom toolbar of the browser, between the Opera Link icon and the Turbo icon, it says "Opera Unite Disabled". That was not there prior to the upgrade. Google Maps and YouTube work fine here. Maps feels faster then before. Showing comments 1 - 50 of 322. We recommend that you read the FAQ before participating. If you've found a bug in Opera, find out how to report it. 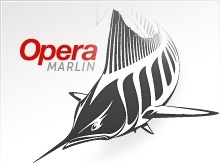 My Opera is a blog and photo sharing community with millions of members. Join now to follow Opera Desktop Team's blog and get your own.